In a couple of hours I’ll be on a plane to Orlando. 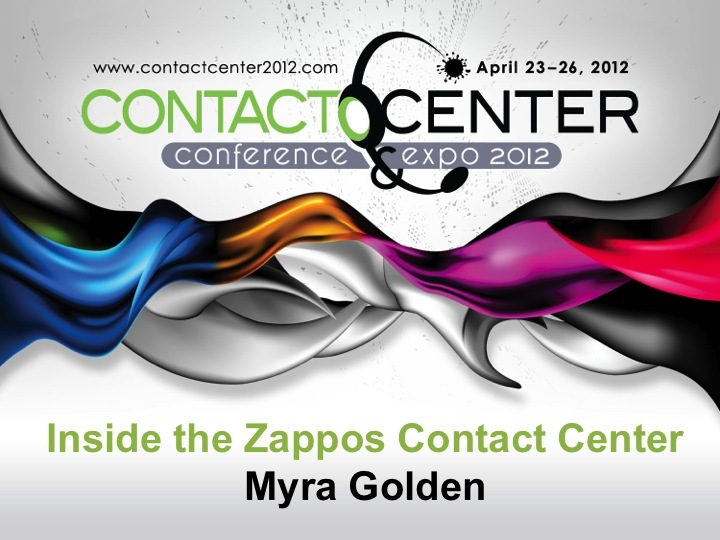 I’m headed off to speak at the Contact Center Association conference to present my Zappos keynote. For the reference of my attendees, I am posting a copy of my slide deck here. Additionally, I’m sharing with my participants 3 videos from inside the Zappos contact center. This video shows the fierce commitment to giving customers the very best experience and the spirit of cooperation of employees that makes the amazing customer experience possible. I’ll stress to my audience that WOW couldn’t be just a buzz word or flavor of the month, it had to be a real and consistent commitment. This video shows what WOW means to Zappos employees. Zappos takes very good care of its employees. This award “ceremony” is the perfect example of that. 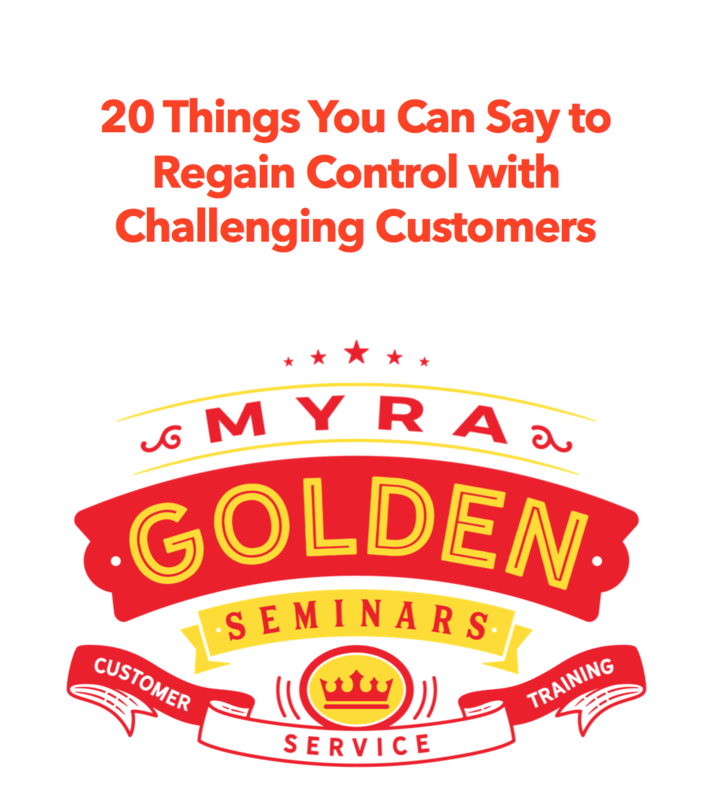 For help with creating the very best customer experience within your organization, check out my customer service keynote speaking and consulting offerings at http://www.MyraGolden.com.